In a large, heavy pot, warm the oil over high heat. Add the mustard seeds, cover, and cook until they stop popping. 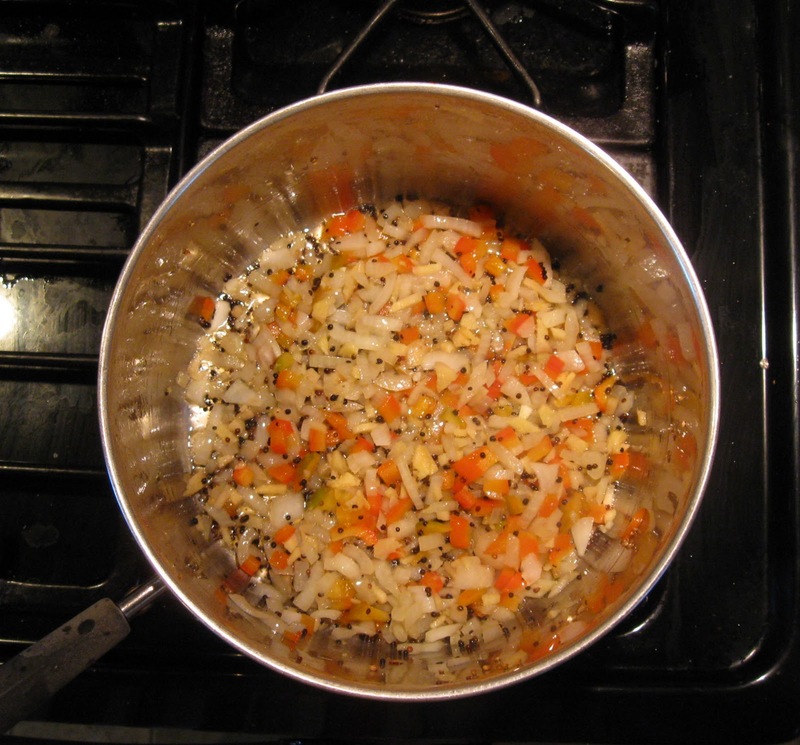 Remove the lid and reduce heat to medium-high. Add the onion and bell pepper to the pan and saute until soft. Stir in the garlic and ginger and cook briefly. Add cloves and cinnamon and cook another minute. 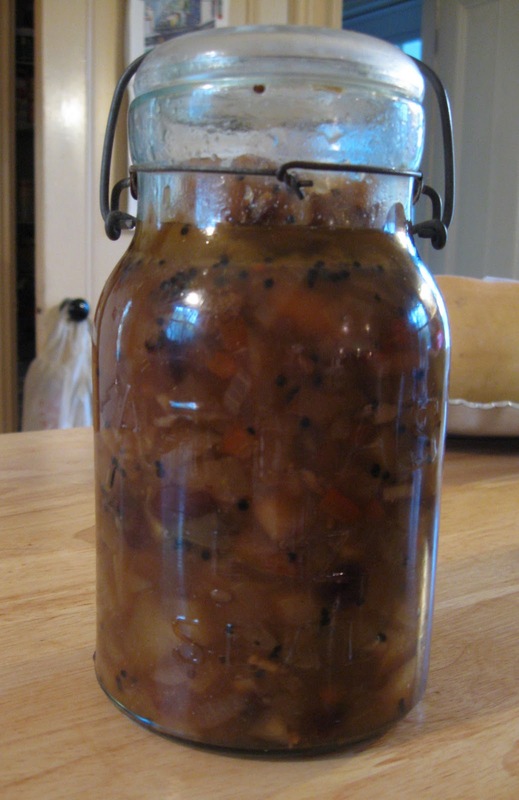 Stir in the apples, raisins, brown sugar, vinegar and water (there should be enough water to cover). 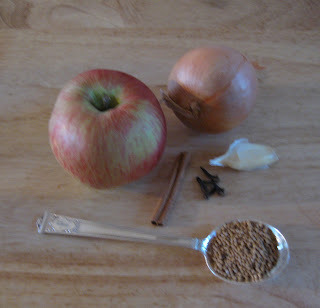 Simmer, uncovered, until the apples are soft but still hold their shape, and the mixture thickens (30-40 minutes). Remove the cinnamon sticks and chill. If you want to spice it up a bit, you can add a dash of cayenne or some hot pepper flakes. This may be stored in the refrigerator for up to two weeks. It makes one quart. Chutney! I've gotten to be a huge chutney fan lately. I love this recipe with the apple-ginger combination. Thanks, Sheila! Mmmmm, I copied a Chutney recipe off another blog yesterday. It looks magnificent. I'm a big fan of chutney, too. I love fruit with meat, so I'm looking forward to cranberries, but this is a marvelous option -- especially for all my cranberry haters!